As discussed early fat is the most caloric dense substance that we can eat at 9kcals per gram. Fats are basically molecules made up of carbon and hydrogen with certain arrangements that make them either saturated fatty acids with an abundance of hydrogens per carbon or unsaturated fatty acids with either one carbon atom that is unsaturated by hydrogen (monounsaturated fat) or several carbon atoms that are unsaturated by carbon (polyunsaturated fat). Okay, enough science stuff, let's get down to brass tacks here. Fats are quite essential for our overall health and well-being. They help out with a variety of things within the body, including providing an abundant energy source in times of famine or scarcity (not that there's any scarcity of food nowadays...errr...maybe healthy food in some cases), they help manufacture and balance hormone levels (ie. cholesterol makes essential hormones from its components), they form our cell membranes, along with brain and nervous system tissue, they help transportation of fat soluble vitamins such as A, D, E, and K, plus the essential fatty acids that our body cannot make without them being ingested the omega 6 fatty acids (linoleic acids) and omega 3 fatty acids (linolenic acids) provide unique benefits to our overall health and well-being. So you can see fats have a valuable process within the body. We cannot live without enough fat. So much for the high carbohydrate, low fat diets out there. Go ahead, try going on one of those diets and see how you fair taking your fat levels below 10% of your daily intake and watch how fast your health deteriorates. 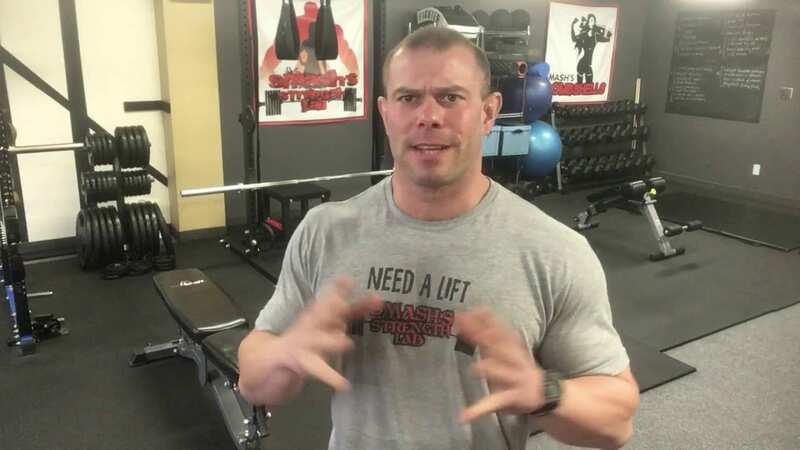 You can see this all the time in people training for a bodybuilding show that are watching their overall fat intake, along with severe caloric restriction and see how fatigued and lethargic they become. It's just one example of a diet gone way too far. That's why if you're on one of those types of diets training for a show you only want to do this as a short sprint and not a life long endeavor. Or you may die! Happy thoughts right? Now most fats contain a variety of all the types of fatty acids, both saturated and unsaturated. It was once thought that eggs were mostly saturated fat, but in reality they contain about 40% saturated fat with 43% coming from monounsaturated fat and 19% coming from polyunsaturated fat. It's similar in other foods containing a good percentage of fatty acids. We tend to group the fat sources much like a certain food type has a certain level of macronutrient, like peanut butter is considered a fat source, even though it can contain some carbohydrate and a bit of protein as well. Saturated fat is the big, bad scary fat that's actually not all that scary at all (as long as you're not dumping a whole bunch of carbohydrates down your pie hole with it). It's more a problem with whatever else you're eating along with the saturated fat. And also it's probably in your best interests to include some other types of fats in your diet as well, not just high amounts of saturated fat, as the imbalance of saturated fats to unsaturated fats can be problematic for your arteries. There it is folks, balance. You just balance the rock no the rock Padawan. You'll find saturated fats in animal and dairy products (ie. butter, full fat milk), along with coconut and tropical oils. Monounsaturated and polyunsaturated fats are reportedly the healthier fats that have beneficial effects on our blood triglycerides, cholesterol level, blood vessels, inflammation and metabolic function. Hence my constant confusion in these fats (as in the video) where they all have similar properties and function closely within the body. These fatty acids must also be kept in balance as well, because too much can cause problems, whereas too little...also problems. Monounsaturated fats are found mainly in food products like olive oil (super awesome fat), avocado, peanuts, pecans and almonds. Polyunsaturated fats are found mainly in flax seed, hemp, fish, canola and safflower oils. These are also our Omega 6 and Omega 3 fatty acids. Now on the topic of Omega 6 and Omega 3 fatty acids, these fats are crucial to our survival. They help control inflammation levels within the body, form healthy blood vessels, enhance blood clotting, make great cell membranes, and protect our minds from things like Alzheimer's and mood swings. At any rate since we're not longer scavenging and eating natural provided foods our levels of Omega 6's and Omega 3's has gotten skewed. What used to be closer to a 1:1 ratio of O3:O6 fatty acid level is now more of a 4:20 ratio. This tends to be a problem. Remember, we talked about balance, it's important. So to correct this imbalance in our daily diets, try to consume a bit more foods with a high level of Omega 3 fatty acid profile each and every week. If you're a fatty fish eater (ie. think salmon, mackerel, wild game, trout, sardines, algae) then you're good to go. If not, then you're probably better off with supplementing with a good fish oil supplement that can help balance out the ratio. If you can do that and avoid using too much corn oil, safflower oil and grain fed meat you should balance out nicely and have a better overall Omega 3 : Omega 6 fatty acid balance. Your cells and metabolism will love you for it. So to wrap up without much further explanation on the keto diet and other fat based diet types (we'll save that for later) you basically want to try and eat a balanced mixture of all three fatty acid types. A bit of saturated fat from animal products, a bit of monounsaturated fats from nuts, seeds, avocado, olive oils and a good chunk of Omega 3 fats from fatty fish, wild game, etc. Or supplement the latter to cover your bases.